They’ve taken creative risks and made bold statements about their art. And they’re just getting started. Meet three South Florida female arts leaders who are taking the disciplines of ballet, opera and immersive art to the next level—and shaking things up while they’re at it. After graduating from The Julliard School and New York University, Lauren Carey returned to South Florida to revitalize Ballet Florida. Nearly nine years after the original Ballet Florida folded, Lauren Carey’s rebooted version has the dance world on its toes. Forget swans, sugarplums and damsels in distress. At the renewed Ballet Florida, you’re more likely to find storylines addressing abusive relationships or the opioid epidemic, thanks to the leadership of Lauren Carey. “I never set out to run a ballet company,” says the 28-year-old West Palm Beach native and artistic director. But when the original Ballet Florida folded in 2009 after 23 seasons, Carey was devastated by the loss of her childhood stomping grounds. She had been living in New York, where she completed her BFA at The Julliard School and an M.A. in ballet pedagogy at New York University, but by 2014, her roots were calling. Carey’s father, a visual artist, helped her file the paperwork to register a nonprofit, and they turned her childhood home into a rehearsal studio complete with a sprung dance floor, mirrors, ballet barres, office space, and a video and sound library. She kept the name Ballet Florida as a tribute to her teachers—especially Demetrius Klein, with whom she still has a close relationship. Like its predecessor, the new Ballet Florida operates a large training academy, and Carey spends several hours teaching each morning, leading open classes or coaching private students for auditions. Carey and her father transformed her childhood home in the tony El Cid neighborhood of West Palm Beach into Ballet Florida’s new headquarters. Broadly speaking, today’s ballet companies are experimenting with ways to reach new audiences, from performing in non-traditional spaces to holding open rehearsals, and Carey has been bringing Ballet Florida up to speed since revitalizing it four years ago. For an Art After Dark event celebrating the birthday of artist Edgar Degas at the Norton Museum of Art, Carey created a new work set to an original score by a local musician. The company later returned to the museum with multimedia artist Jennie Petuch to create an interactive video installation for “Miss Lucy’s 3 Day Dollhouse Party,” an exhibit that showcased pieces by the likes of Cy Twombly, Julian Schnabel and Ross Bleckner. Methodically and unapologetically, the Florida Grand Opera’s Susan T. Danis is creating a culture of opera enthusiasts in South Florida. Next season, Susan T. Danis will take the opera experience from the opera house to community theaters, where opera novices can see and hear the dramatic art form in a less intimidating environment. If someone composed an opera about Susan T. Danis, it would probably be called “Madam Fix-It.” As general director and CEO of the Florida Grand Opera, Danis is more heroine than damsel in distress. 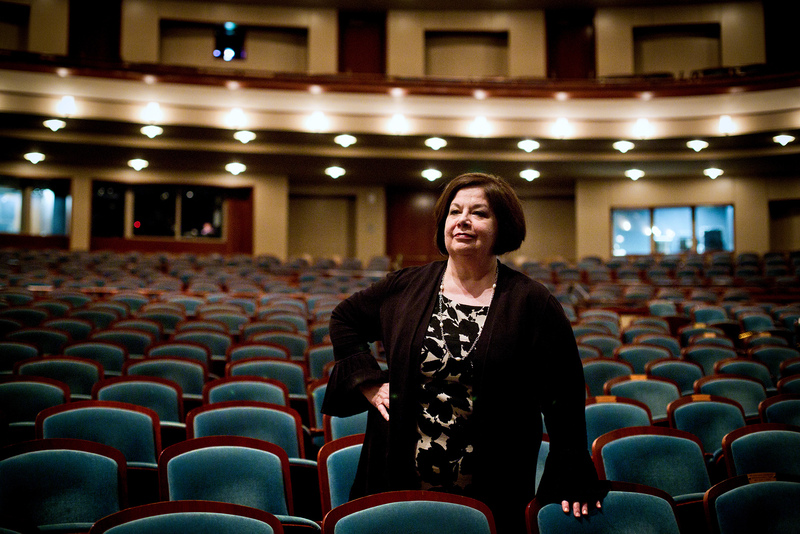 When she took the helm as the organization’s fourth—and first female—director in 2012, the Florida Grand Opera was $12 million in debt. By year’s end she hopes to wipe the slate clean and start off debt-free. She’s built a reputation as a take-charge administrator who not only knows how to balance the budget but also how to bring great opera to the masses. She attended Indiana University, where she studied theater and psychology with the intent to graduate as a recreational/drama therapist. Inspired by Geraldo Rivera’s expose on the horrendous conditions for the mentally disabled warehoused at Willowbrook State School in Staten Island, New York, Danis pioneered an evening program for developmentally disabled adults near Willowbrook where participants were treated humanely and not stigmatized. “I became the boss at 21, and I’ve never not been the boss,” Danis says, adding that she ran programs in every borough in New York City. After eight years, she decided to obtain an MBA through the University of Hartford’s Paris program. Danis stayed in France a few months after the MBA program ended to help an alumnus run The Paris Boys Choir. It was her first exposure to arts administration, which she built on when she returned to the United States. She joined friends in San Francisco and spent her days building corporate identity packages for startups and writing technical training manuals. She also worked as a project manager for Project Artaud, a live-work complex for artists named for Antonin Artaud of avant-garde French film. Then she fell in love and traveled across the country to be with her man. “It was the first decision I made with my heart and not my head,” she says of eventually living in upstate New York. By the time she left the company in 1999, it was debt-free and stabilized. She worked the same fiscal magic on the Sarasota Opera, where she stayed for nearly 14 years before joining the Florida Grand Opera. During her stint in Sarasota, she more than doubled the opera company’s budget from about $3 million to more than $8 million and oversaw the $20 million renovation of its 1926 opera house. Renovations took roughly a year, Danis says, adding, “We came in on budget and transformed that theater from OK to one of the most magnificent places to see opera.” Building on that success, Danis decided to come to Miami, where she is not only responsible for raising money but also has a say in how it’s spent, from what operas are presented to who sings on stage. Miami is a tough crowd when it comes to opera, Danis says. “Our biggest competition might be people staying home at night because they might have been at the beach all day and they’re exhausted,” she says, adding that Miami has so many other distractions, from the great outdoors to big league ball in the form of championship teams. Other obstacles the opera faces in drawing audiences include Miami’s perpetual rush-hour traffic and elusive parking spaces. 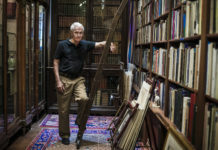 Undeterred, Danis is working for ways to help opera lovers get to the show on time. Her plans call for selling subscription packages that include Uber rides or setting up a park-and-ride program with dedicated bus service to the opera house. 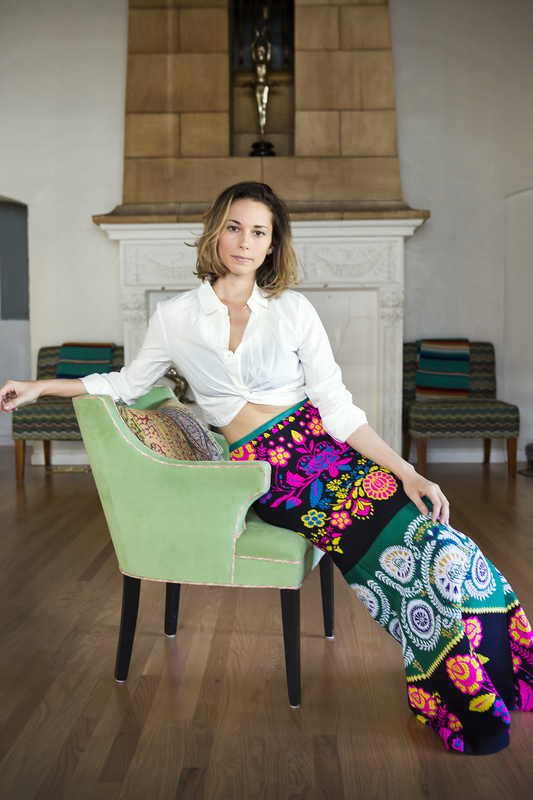 For those who still feel intimidated by the process, Danis plans to bring the opera to them. She is taking the show on the road—but instead of going out of town, the tour will include community auditoriums all over South Florida. Next year, the Florida Grand Opera’s repertoire includes “Frida,” an opera about Mexican artist Frida Kahlo. The opera features a 12-piece orchestra and as many performers on stage. It’s compact enough for regional theater and perhaps more digestible for the operagoing rookie. The Art and Culture Center/Hollywood’s Laura Marsh pushes traditional art boundaries with immersive exhibitions that challenge societal ideals. Using her background as an installation artist, Laura Marsh, photographed here with the “WIRED: Suzan Shutan” exhibit, is bringing an exciting immersive art experience to the Art and Culture Center/Hollywood. No touching. No talking. No photos. Museumgoers are accustomed to those restrictive demands. But these rules don’t exist at the Art and Culture Center/Hollywood. Perhaps the antithesis of a traditional museum, the center—and its immersive art created by emerging contemporary artists—instead encourages visitors to touch, talk, photograph and even giggle. The woman exposing audiences to the quirky galleries and exhibits is Laura Marsh, the center’s curator of exhibitions. A petite woman with kind eyes and a soothing voice, Marsh reveals her thoughts slowly. But as chatter about her exhibitions mounts, her eyes brighten and her voice intensifies. One of those pieces is “HERLAND,” a painting exhibition and adjoining interactive tent created by South Florida natives Annie Blazejack and Geddes Levenson. The immersive installation explores several topics, including how the ideals of femininity and the roles of women have changed since the 1950s. Inside the exhibition, the low-hanging dyed drapery embraces visitors while the dim lighting and soothing underwater sounds evoke a womb-like sensation, making it a safe space to sit, put the phone down and reflect. Although this is only Marsh’s second stint as a curator, the Pennsylvania native feels her experience as an installation and textile artist helps her understand how artists work and gives her the natural ability to talk with them about their conceptual or material processes. Blazejack and Levenson are two artists Marsh has cultivated. The trio cemented their desire to work together at a 2016 Christmas dinner. During a studio visit, they created the concept for the site-specific fiber world and their paintings. Marsh wanted to show the canvases, which depict the process of dyeing fabric, on a white wall to separate them from the dyed tent installation yet still show their connection. The 35-year-old spent four years as the director and curator for Seton Gallery at the University of New Haven in Connecticut before being lured to South Florida by the warm weather and fluidity she saw between artist and curator roles. A Yale School of Art graduate, Marsh has completed arts residencies in Argentina and China and has taught art classes in Italy. She has worked with numerous artists and institutions to bring her vision to her work. Through her experiences, Marsh has learned that creating partnerships, rather than working in a vacuum, is the way to success. “Mottos,” one of her recent exhibits at the center, illustrated Marsh’s aim to create themed group shows with a selection of artists who are challenging societal ideals rather than shows that feature a solo artist. Showing work from seven artists who explored the physical body, the exhibition focused on gender identity and challenged stereotypes. Pieces such as GeoVanna Gonzalez’s I think We’re Moving Too Fast—which featured an empty desk and chair where visitors could consider the absence of a person but also sit and reflect—created a dialogue between the art and the viewers. Creating more themed shows introduces the idea of collaboration, proving that artists don’t have to work alone, Marsh says. And it also comes with another vital outcome: As the center features more local, national and international art, it gives Marsh the opportunity to create indispensable relationships with collectors and galleries. As the third-oldest arts nonprofit in Broward County, the center is focused on bringing people together by presenting projects that are relevant and that create a conversation, Marsh says. She is now working on fall shows that will include private collections alongside emerging artists, something that hasn’t been done at the center in the past. As an installation artist herself, Marsh is pushing the Art and Culture Center/Hollywood to continue its support of immersive exhibitions, especially those that combine a playful and serious subtext with a sprinkle of quirkiness. Of the 11 exhibitions she has curated for the center thus far, all have contained a sculptural or room-sized installation. Last year she debuted “PLUSH” (Pleasurable, Lush, Utilitarian, Subjects of Humanity), which featured 11 artists, including John O’Donnell, a professor by day who showcased his humorous side through his work. A video of him trying to win stuffed animals from an arcade vending machine was displayed alongside the toys he won—a Pokémon and emoji that he then altered. O’Donnell’s reference to pop culture accompanied more serious works, such as Aurora Molina’s piece that touched on her experience with communism in Cuba. Marsh wanted the show to be an intersection between whimsical and serious commentary that was anthropomorphic, political and symbolic of cultural issues and reflections. And yes, she also hoped to incite a giggle or two.